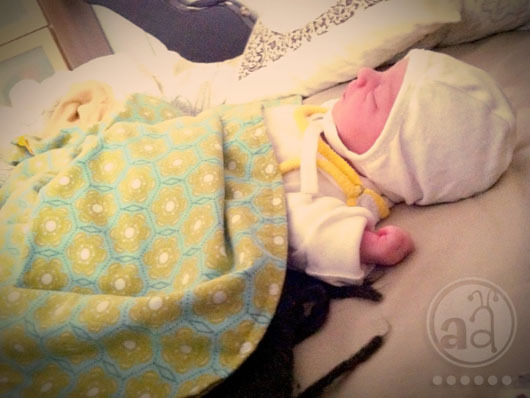 we're thrilled to announce that lizbeth, our little junebug, has arrived! she was born today, on the 16th of june, and is a healthy little girl. her proud parents and her delighted big brother are all well up and looking forward to enjoying precious family time together. have a happy weekend, everybody! She is beautiful and her name is adorable. Congratulations! Oh, she is beautiful ! Congratulations family! And welcome to the world Lizbeth, best wishes for a long and happy life. Enjoy and rest. Enjoy every precious newborn moment! Congratulations! Welcome, welcome, sweet little babygirl! So looking forward to hearing the birth story (do you share that)? Any day now our little Halleah will join your little Lizbeth here on earth! Congratulations to you and your family! That's wonderful news! Congratulations, she is the sweetest little girl ever!!!! Who has ever seen such a "marcipan-junebug"? She is worth all the hugs and kisses in the world!!!! Congratulations dear Daddy, too, for helping her come into the dizzy morning light of Hamburg. Congratulations to you, most tender big brother, Spencer. A beautiful name for a beautiful little wee one! Congratulations to the whole family and I wish you nothing but the best! I have been waiting for this!!! Oh, congratulations...I'm just so thrilled for you and doing a happy dance over here! Beautiful girl, beautiful name...sending hugs to mama for a speedy recovery! xoxo! da habe ich ein paar Tage nicht auf Euren Blog geschaut und schon das Allerwichtigste verpasst!!! Ich gratuliere Euch von ganzem Herzen und wünsche der kleinen Lizbeth einen tollen Start in die große, aufregende Welt! Oh darn! I'm gone for a few days and miss this post! Congratulations! What a blessing from the Lord. So glad that you and baby are doing well. Hope your adjustment time is smooth.